These are classic cowl ventilators, available in a choice of materials and deck fixings. Vetus Chinook cowl ventilators are made from silicone rubber, which looks and feels like organic rubber but has a flexible feel and the ability to withstand large ranges in temperature. They will not discolour in UV light. Vetus Tom cowl ventilators are made from flexible PVC and have an excellent UV resistance. A set comprising mosquito screen and stainless steel cover plate is available. These ventilators may be fitted with a dorade box, which incorporates a mushroom vent to enable the vent to be shut off from the cabin below. Chinook cowl ventilator with fixed ring CHINOOKS Silicone rubber deck ventilator with plain screw-down retaining ring. Chinook cowl ventilator with deck ring and nut CHINOOK Silicone rubber deck ventilator with deck ring and nut. 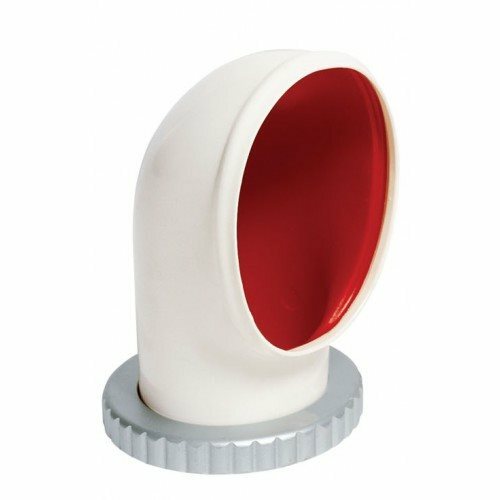 Tom cowl ventilator with fixed ring TOMS PVC rubber deck ventilator with plain screw-down retaining ring. Tom cowl ventilator with deck ring and nut TOM2 PVC rubber deck ventilator with deck ring and nut.